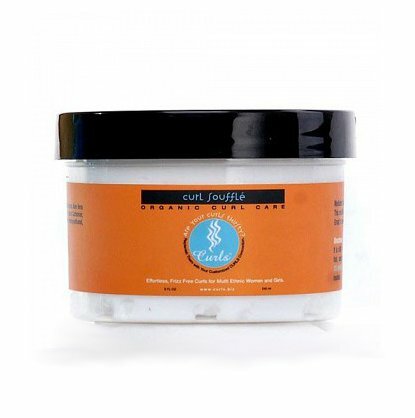 Curls Curl Souffle Medium Curl Styling Cream is my staple leave in moisturizing cream. This stuff hasn’t failed me yet and we have been together for about 8 months now. I’ve switched up between different leave-ins but I always come back to Curls. This product leaves my hair uber moisturized and soft for dayssss…it has a natural hold which I love because I prefer happy frizz with my hair than super tamed. Its very light and has never made my hair feel greasy. Here’s how I use it: After I shampoo and deep condition my hair I apply a little bit of leave-in conditioner such as Say Yes To Carrots and then I apply Curls Curl Souffle on top of that. 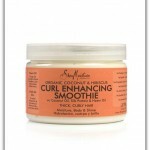 I don’t use too much of it, but I make sure its evenly distributed through out my strands. Final step is sealing it with a bit of Vatika oil on my ends and let my hair air dry. Here are the ingredients:purified water, certified organic sunflower oil, octyl palmitate, certified organic aloe vera leaf juice, glyercin, glyceryl stearate, potassium stearate, panthenol, stearic acid, sodium carbomer, allantoin, cetearyl alcohol, certified organic sweet almond oil, shea butter, certified organic jojoba oil, soy tocopherols, phenoxyethanol, fragrance. Octyl Palmitate – emollient derived from palm oil. Organic Sunflower Oil – a light oil which is high in linoleic acid, Vitamins A, B complex, D, and E, as well as calcium, zinc, potassium, iron, and phosphorus. 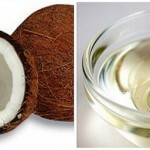 Panthenol - Vitamin B complex that adds strength and body to hair by filling in cracks on the hair shaft. Shea Butter - Ultra rich emollient that provide intense conditioning from cortex to cuticle. What is your staple leave-in moisturizing cream? Hmmm. I would have to say, as of now, I don’t have one. I just use leave-in conditioner and seal with oils. BUT I am about to get up on that Oyin Handmade Hair Dew. I hear it smells great and works wonders for reviving a wash-n-go, when you don’t feel like wetting your hair. All I rock is a wash-n-go, although twists may be coming soon so I can get the cap over my head at graduation. Congrats on graduation Auset :). I straightened my hair for my undergrad graduation . But for my grad school graduation I wore it out and forced the cap on it with pins…lol. Awww man Auset, I might have to hit the pipe and try some of that Oyin Handmade Hair Dew. If you see a review in the near future about it, its all your fault. And congratulations on graduation, that’s big! @e4f2db0994670ba66fed134f311a06e3:disqus I use any one of the following gels (Eco Styler, Long Aid, IC Fantasia) along with the SM Curl Enhancing Smoothie. I get great results and soft hair all day for at least 3 good days and even up to 5 I’d love to try the Curl Souffle one day. Shea Moisture DTM is my staple leave-in conditioner. It smells good and gives me moisture for days!